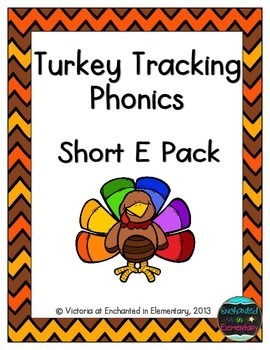 This is a phonics practice game that focuses on the short e sound. Included are 56 short e words. Students pick a card and read the word. If they read it correctly, they keep the card. If not, they put it back at the bottom of the pile. 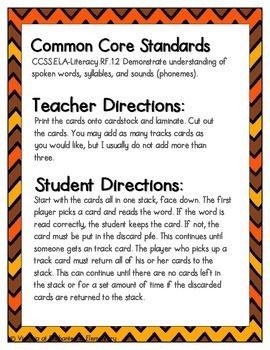 Students who get the "track" card must return all of their cards to the bottom of the pile. I have used this game in small groups with students who need extra phonics practice or during our review centers on Fridays. 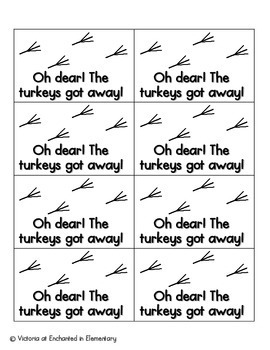 Check out my store for the other turkey tracking games!